Hello, guys, I hope you're doing great and like we promise you to release another unlimited 9mobile free browsing cheat. This unlimited free browsing cheat was cracked by us and of course Teams after spending days of work of getting data packets using 9mobile for free of charge. 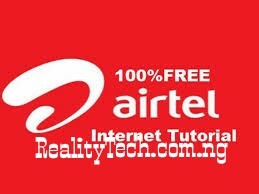 This free browsing cheat is a long process with sophisticated settings although not really that hard if you're conversant on how to set up free browsing and I will surely provide you with screenshot as well procedure to follow in order to get this work on your various phone. So this unlimited 9mobile free browsing is the first of it kind and it is the first free browsing of its kind in Nigeria and many other countries brought by Teams using Shadowsocks Tunneler. This So lets get started with the configuration settings. =And you need to exercise patience and make sure you follow-up the procedure to the end. 1] After you've downloaded the app, launch it. 2] So after doing this, click on the plus sign icon above at the right and tap on manual settingsas seen in the screenshot. Make sure you used (.) instead of dot, I only used this to prevent it from shrinking into the page title which will look totally confusing. Encrypt method= So make you select [RC4-MD5] for this server. So after inputing any of the above configuration settings, the hit the save button and Connect it back clicking on the triangle icon below. Then go back to your connection stabilizer, and connect it to make it stable. So here are the manual shadowsocks account I created by myself and much more are going to be released. So this server is currently slow and the first can access WhatsApp while the second and the third cannot power WhatsApp and we're still working to bring up another blazing server for you guys. And very slow in downloading but still manageable if you're not that greedy lols. I will still elaborate more on how this shadowsocks work for my fellow team's members. Please, this is to all bloggers, sometimes I found it very painful seeing my days of work on another blog without giving proper credit and claiming it to be cracked by them which is not. So please you can post this article on your blog but not copy paste and with a redirect site credit on your blog, that's all. And if you're persisting on how smart you're, God knows how to judge. So that's all, if yours isn't connected do let us know through the comment box and we would be glad to help you out as this is what the forum was meant for. And please don't forget to drop your comment to show some appreciation of our good work here and also share this post with others in order to reach out to may audience. This post will be updated later on working server. Make sure you sign up right here Sign up | Loyalteams Forums in order to have access to the app cause only our members have the right to download the app. Our Next projects By Allah grace is How To Browse Unlimitedly in All Countries Using any tunneler. So stay tune to loyalteams one of the biggest and great forum for free browsing cheat and Tech stuff. Credits To Our Master The Freenet Guru Cracker @Jams, From Loyalteams. Enjoy guys Patiently waiting for your comment . Note:- Realitytechs is one of Loyalteams Member. One Team On The Go. May God Almighty Allah Bless Our Team.